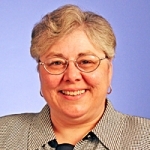 Dr. Karen D’Apolito is a Professor and Program Director of the Neonatal Nurse Practitioner Program at the Vanderbilt University School of Nursing. She has made national and international contributions to the care of drug-exposed infants through both education and research. Dr. D’Apolito received her PhD from the University of Washington, Seattle and her Post Masters Certificate as an NNP from the University of Tennessee, Memphis. In 2011 Dr. Apolito became a Fellow in American Academy of Nursing for her work with substance exposed infants. She developed a unique inter-observer reliability program to train healthcare professionals in assessing infants for signs of withdrawal. She has published numerous articles related to the effects of intra-uterine drug exposure on neonatal abstinence and has been an invited speaker to many local, national and international conferences to speak on this topic. Dr. D’Apolito has participated in two large multi-site clinical trials associated with neonatal abstinence syndrome and she recently completed a grant received from the TN Department of Health to identify the common treatment practices of infants with NAS within the state of TN. Illicit and prescription drug abuse has reached epidemic proportions in our country. As a result, we are seeing many more infants being born with signs of neonatal abstinence syndrome. This presentation will address the incidence of neonatal abstinence syndrome among infants whose mothers consumed opioids and other drugs during pregnancy. Typical screening methods, assessment of the signs of withdrawal and management strategies will be discussed. The presentation will also discuss ways in which staff nurses can increase their inter-observer reliability when assessing infants for signs of neonatal abstinence. It is essential that adequate assessments be made by all who care for these infants so pharmacologic management can be instituted when needed. When the assessment of withdrawal is accurate and appropriate pharmacologic management is implemented infants will be able to better interact with their parents, tolerate their feedings and sleep for longer periods of time.